Brand Accelerator - Uncover how to optimise your brand and drive growth in just 14 days. 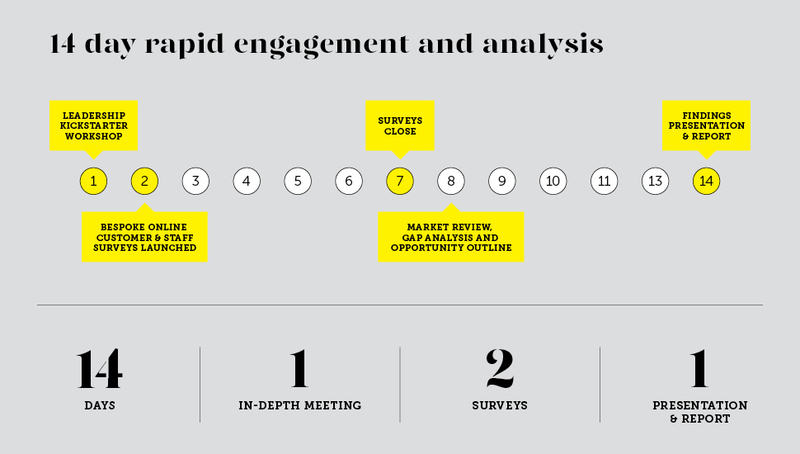 Ideology’s Brand Accelerator is a fast-tracked process to uncover critical insights into your brand and its impact on your business performance. A fast-tracked discovery process to uncover what your customers, leadership team and employees believe about your brand. Quickly identify issues with your identity, your culture, your customer experience and your communications. 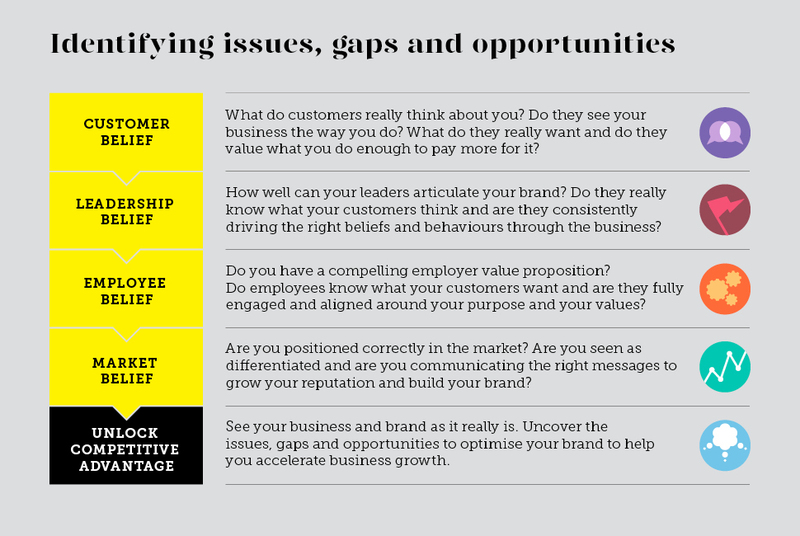 Uncover what gaps exist and, ultimately, what opportunities there are for unlocking your brand’s unrealised value. Any business, from start-ups and SMEs to multinationals, who want to ensure their brand remains relevant to customers’ changing needs, is reflective of the capabilities of the business, is differentiated from competitors and is aligned with their business strategy. A report outlining the key insights you need to make better informed and more effective decisions about your brand and your business. Greater clarity over what you do, how you do it and why it matters to your organisation, your employees and, ultimately, your customers.